There’s no telling when the first “selfie” was taken. You could argue that the self-portrait — think Vincent Van Gogh with a painter’s palette or Frida Kahlo surrounded by monkeys — is its original form, and that the artists from centuries ago influenced a contemporary trend popularized on social media sites like MySpace and Instagram. 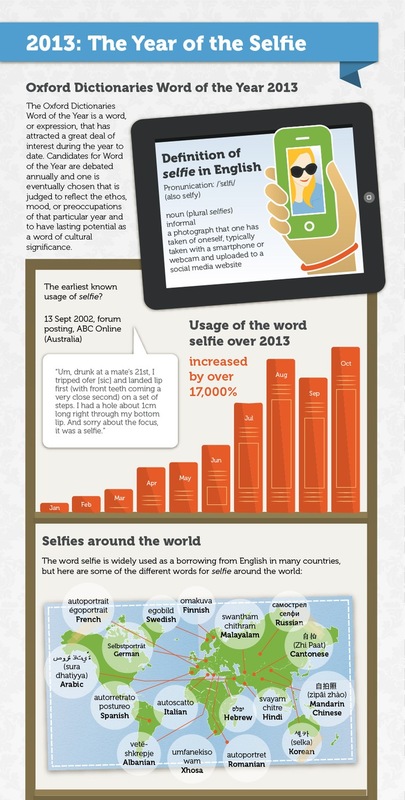 Though it’s not yet in the Oxford English Dictionary (it’s currently being considered for future inclusion), selfie was added to OxfordDictionaries.com in August. At arm’s length and with a tilt of the head, nearly everyone has perfected the art of the selfie. 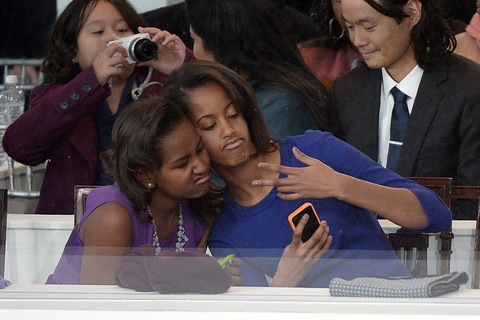 So with Monday’s news, we decided to revisit some of our favorite selfies of the year. In August, Pope Francis posed with a group of Vatican visitors. This might have been the holiest of selfie photographs to date. First Lady Michelle Obama and First Dog Bo posed on the White House lawn to help National Geographic earn a Guinness World Record in early August. In the realm of virtual selfies, Grand Theft Auto takes the cake, albeit a very twisted, warped-looking kind of cake. As a player, you have the option of taking a selfie with one of the game’s impressive scenes behind you. 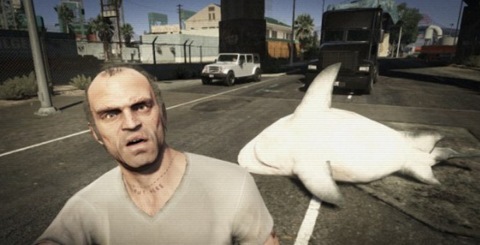 Anonymous Grand Theft Auto player takes a selfie with … a shark. And veering towards the dangerous and controversial, selfies while driving and selfies at funerals have become the latest selfie trends of the year. Yes, those fads may be bizarre, but they’re not as out of this world as astronaut Luca Parmitano’s selfie from space. And finally, one of our personal favorites (we promise we’re not biased), comes from PBS NewsHour’s Gwen Ifill and Judy Woodruff, one day before their co-anchorship became official.